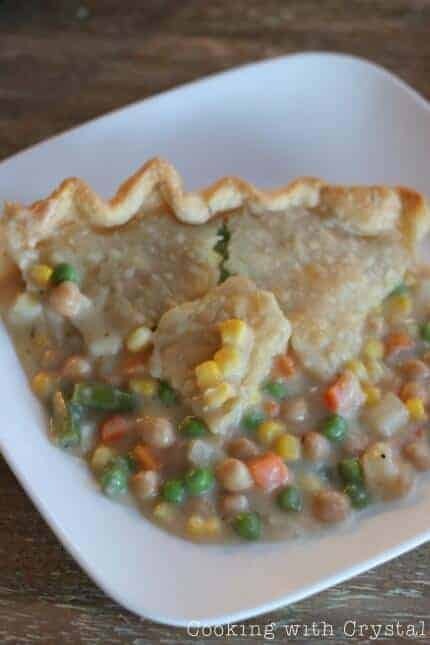 As the fall weather begins to approach, I thought a Chickpea Potpie would be the perfect recipe to share with you all today! I have a new found love of chickpea’s and serve them with many different things that I make! 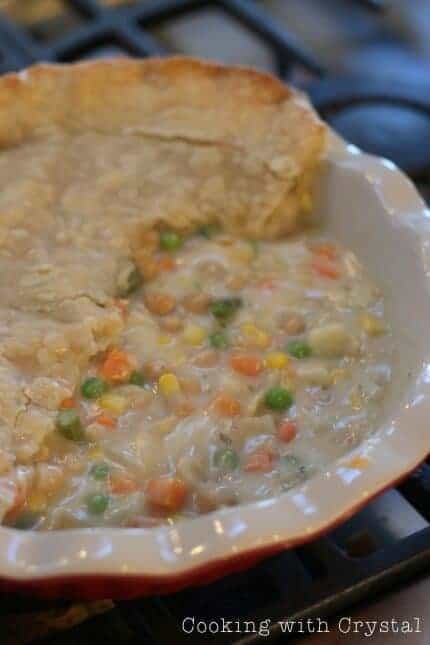 I decided to change the traditional chicken pot pie into a CHICKPEA pot pie! I really enjoyed the flavor of this and will be making it many more times. The only thing is that I couldn’t wait to dive in and eat it, so I didn’t let it sit long enough to thicken up! 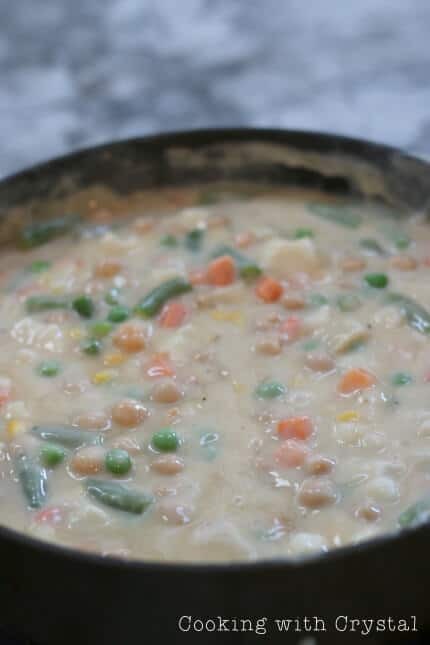 When you make it, you have the sauce going and then toss in the frozen veggies….so simple! 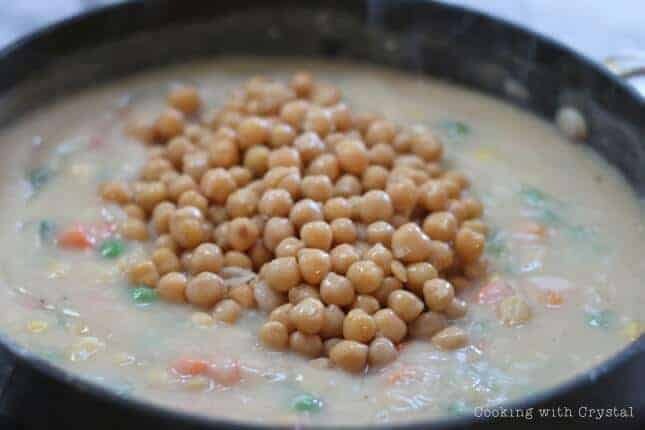 Then don’t forget those delicious chick peas! Mix it all together and prepare to put it into a pie pan. After you have it all in there, lay the top of the pie crust over it all, flute it, and then cut slits into the center. See, I pulled mine out and dove into it wayyyyy too soon. It needed to sit for some time longer. 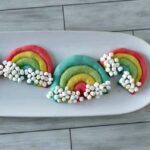 Pair with a salad and you have dinner all set! Saute onion in butter in a large saucepan until tender. Add garlic, cook 1 minute longer, stir in the flour, salt and pepper until blended. Gradually add broth; bring to a boil. Cook and stir 2 minutes or until thickened. 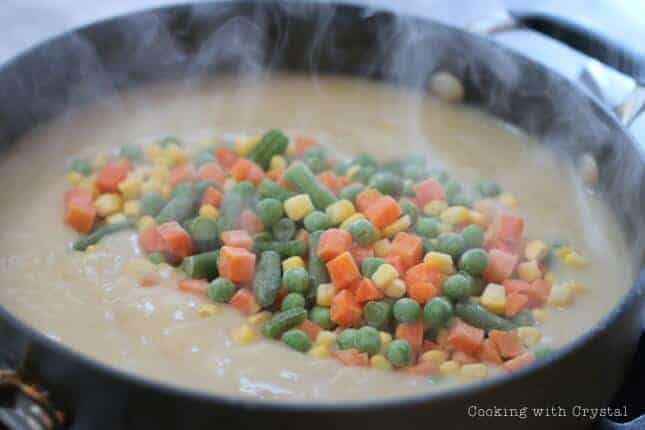 Stir in the vegetables, garbanzo beans, potatoes, cream, and Italian seasoning. Unroll pastry and place it into 9 inch pie pan. Fill it up with chickpea mixture. 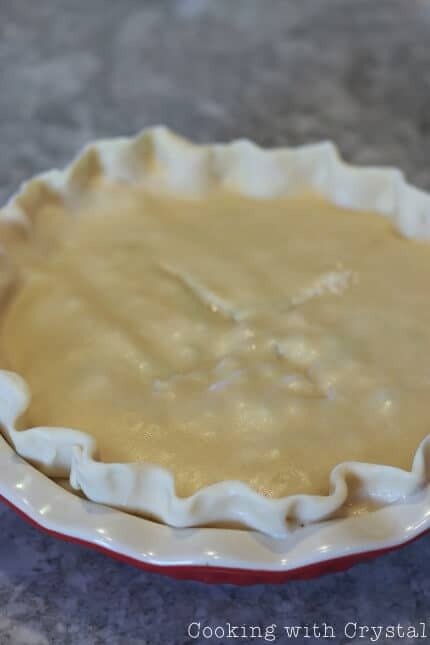 Roll out the remaining pie crust to fit the pie plate; place over filling. Trim, seal and flute edges. Cut slits in pastry. Place pie pan in oven and bake at 400 F for 25-30 minutes or until pastry is golden brown.